Chef David Kinch frequently changes the menu to highlight the best products from a biodynamic farm he has an exclusive partnership with. Diners are delighted with fresh ingredients, unique flavor combinations and clever application of modernist techniques. 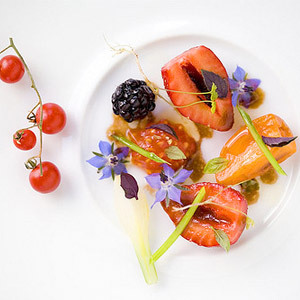 Chef: David Kinch has won the Best Chef in America award for the Pacific region from the James Beard Foundation. Molecular Meter: medium, four-course menu or put their trust in Kinch’s hands for a truly memorable tasting menu, Seasonal and Spontaneous, with optional wine pairings courtesy of Manresa’s Wine Director Jeff Bareilles.